Pro poker players from Howard Lederer, Jennifer Harman, Phil Ivey, Chris Ferguson, and Layne Flack discuss how to bluff. Follow along and gain valuable strategy tips that have been built on years of real life experience. 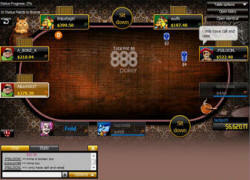 One of pokers great appeals is the option to bluff an opponent off the better hand. Phil Gordon - Making big bluffs - timing is very important, make sure that your opponents last action was weak and that yours was strong. Annie Duke - Don't start Hollywooding -pretending that you have a strong hand is different body language than if you really do - it can be easily picked up. Gavin Smith - Failed bluffs set up a trap for later - use it as a weapon. When is Full Tilt Coming Back?